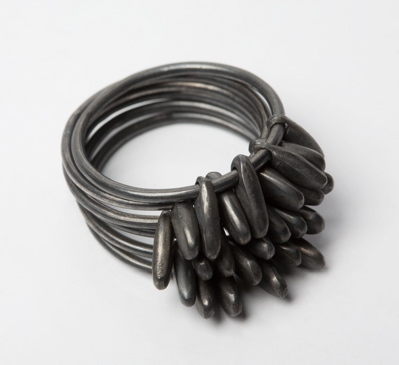 Disco ring in oxidised silver. 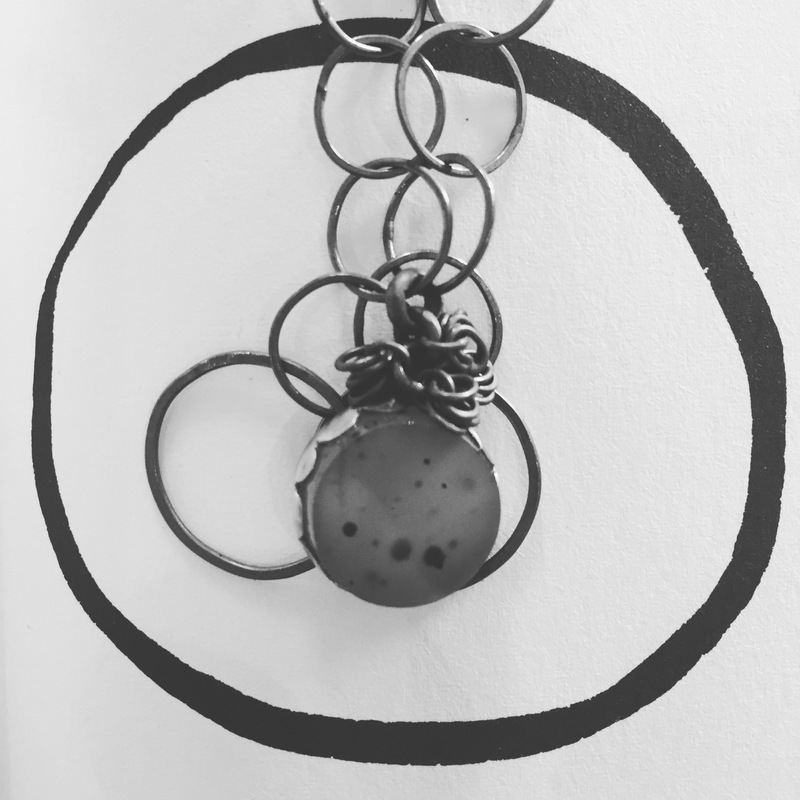 Loopy necklace with a handcut spotted agate and oxidised silver. 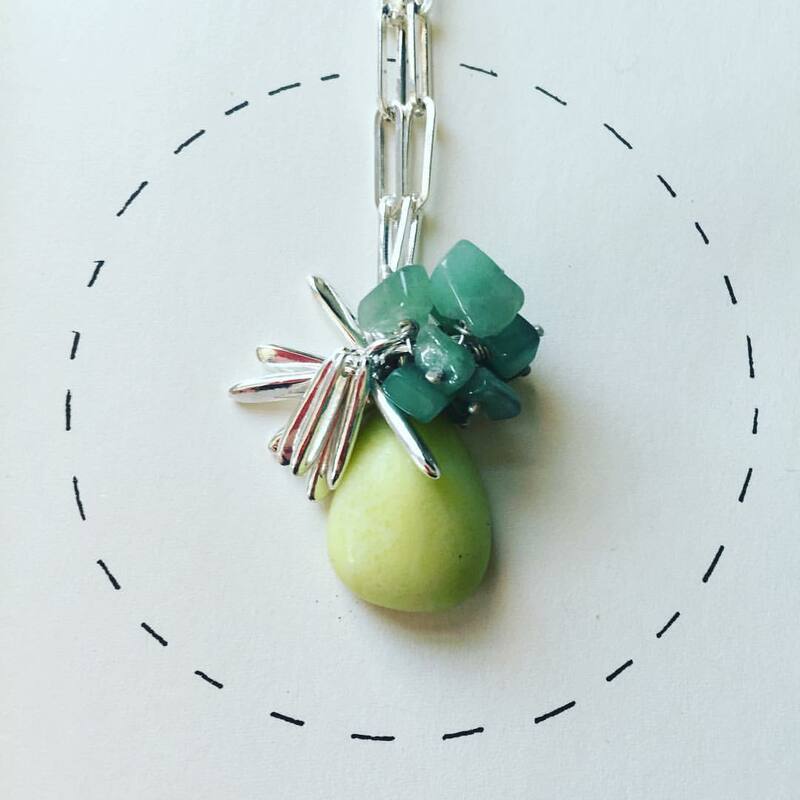 Irish connemara marble, aventurine beads and silver pompom necklace. 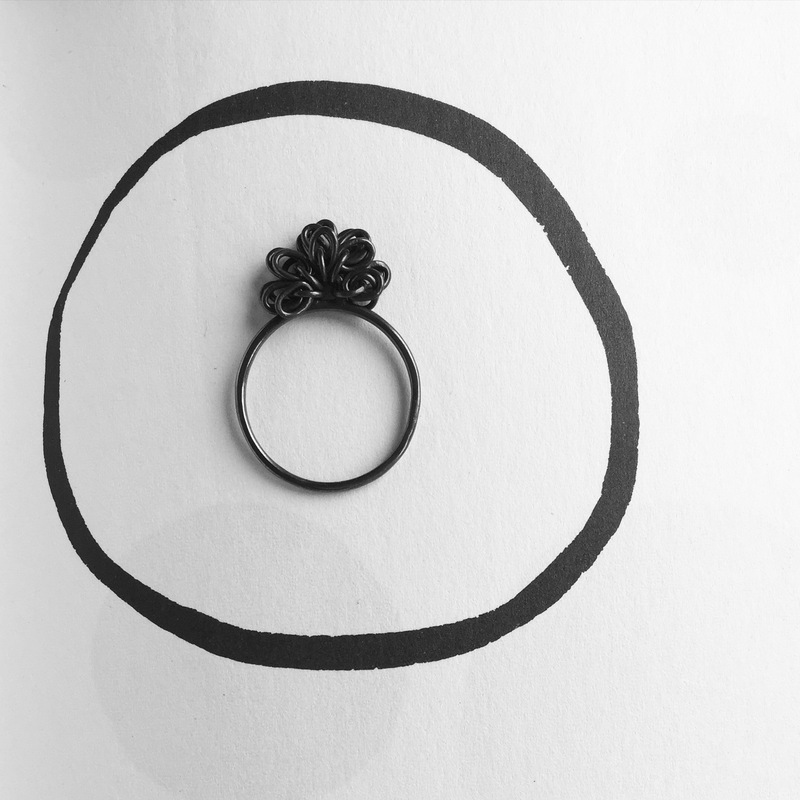 Mini loopy pompom ring in oxidised silver. 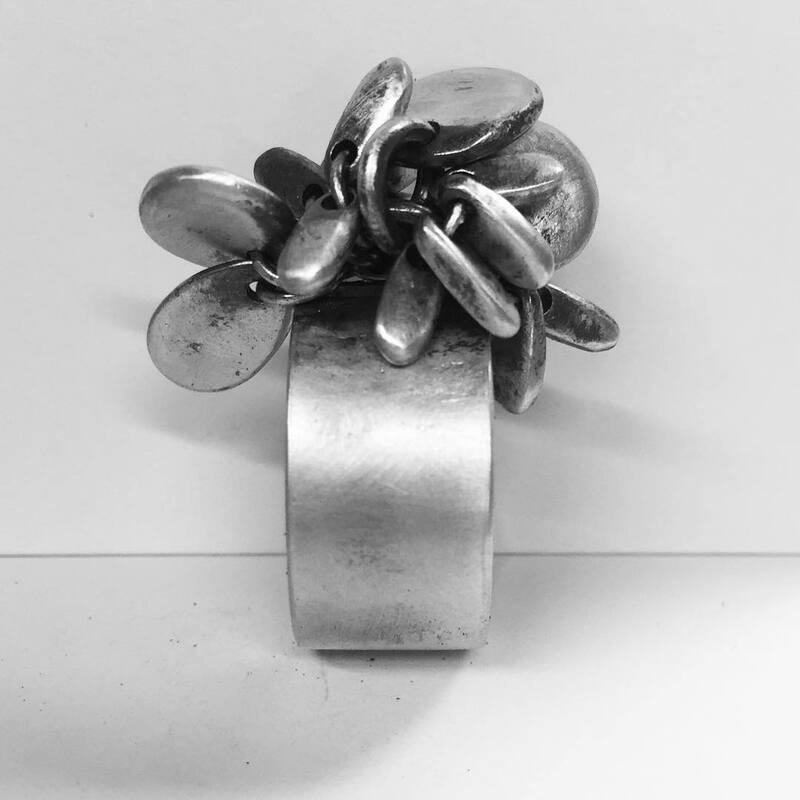 Tag stack ring in oxidised silver. 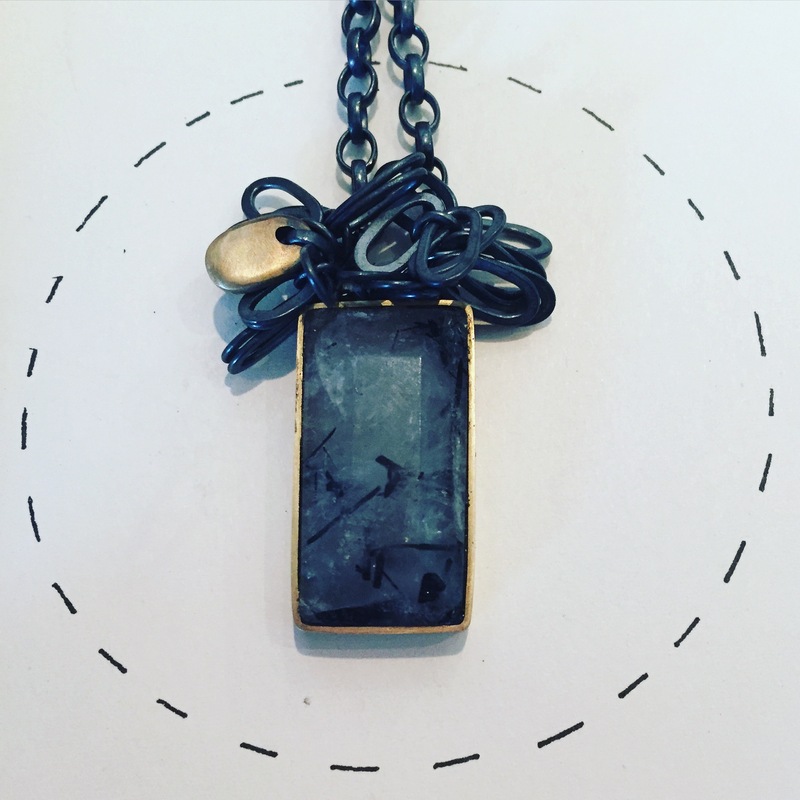 Hand cut rutile quartz oxidised silver necklace with brass detail. 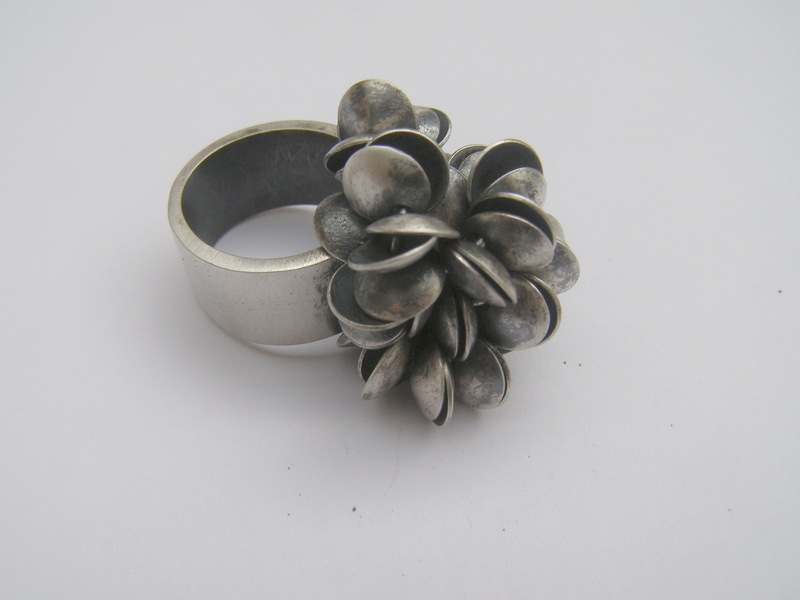 Mixed tag ring in matted oxidised silver. 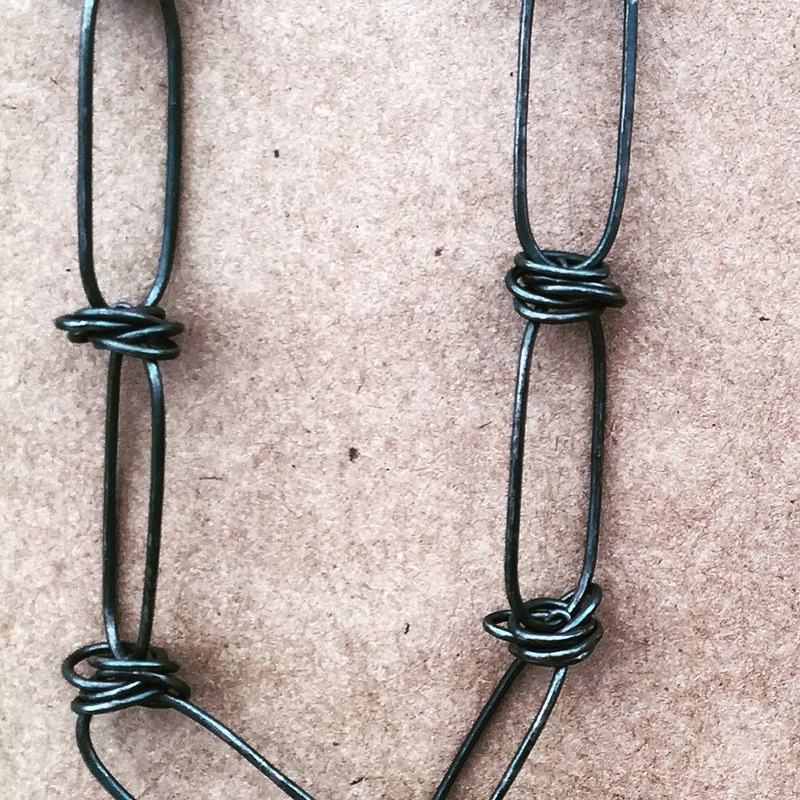 Long loopy necklace detail in oxidised silver. 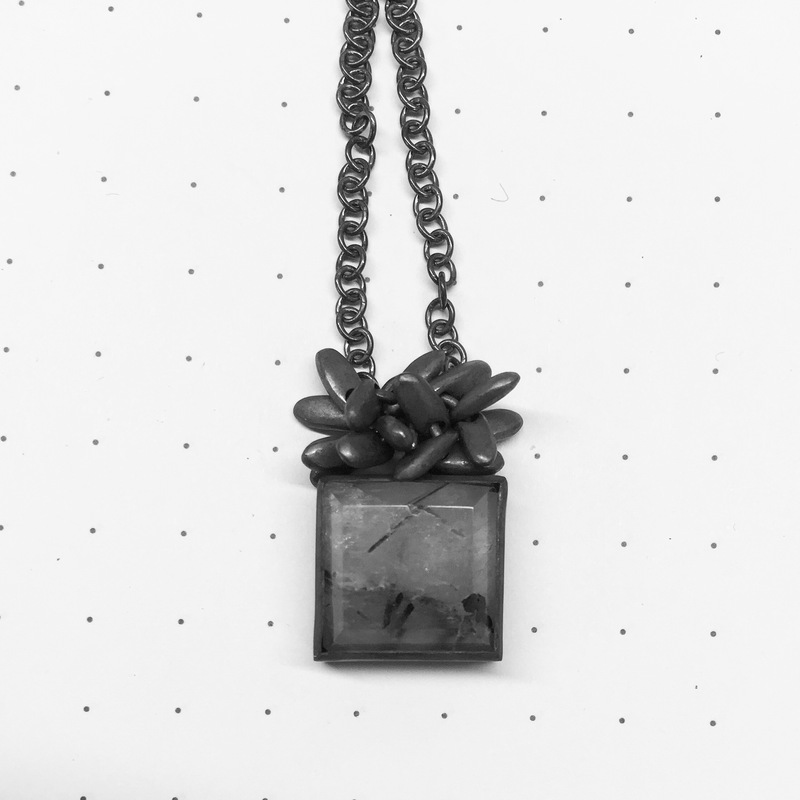 Hand cut stone with pompom detail in oxidised silver. 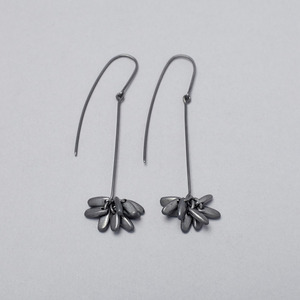 Pompom long swing earring in oxidised silver. 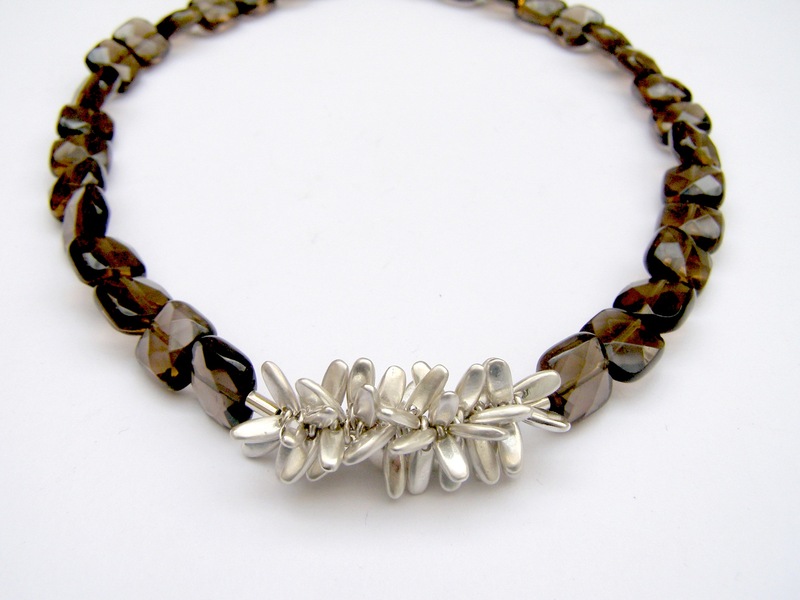 Pompom with faceted smoky quartz necklace. 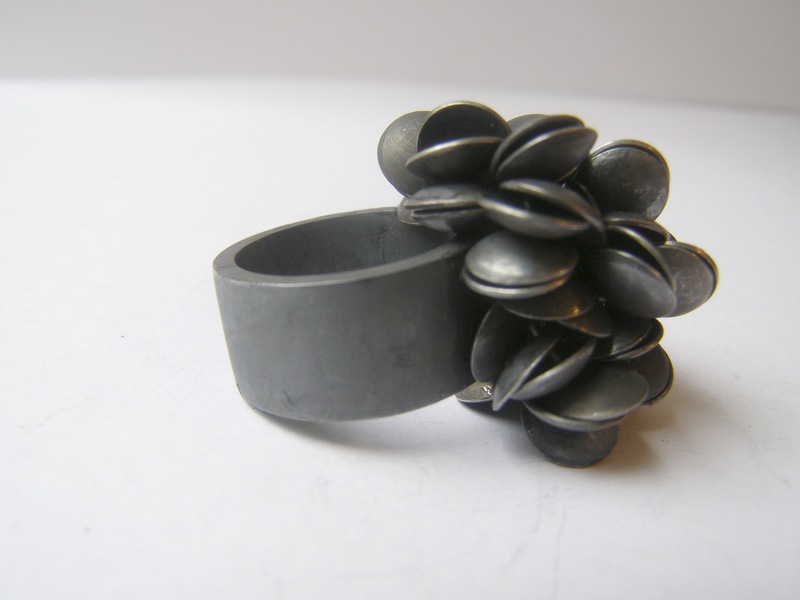 Disco ring in oxidised matt finish. 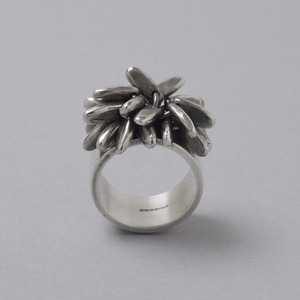 Pompom ring in a oxidised semi finish.